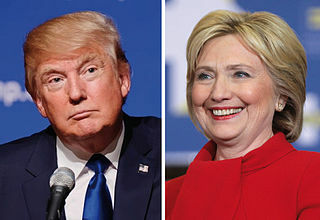 Despite running head-to-head in the election, Clinton and Trump have both stated that Americans need to unite as one and move forward together. Current president Obama echoed a similar sentiment in a speech after the election: ""We have to remember that we're actually all on one team…We’re not Democrats first, we're not Republicans first, we are Americans first. We're patriots first. We all want what’s best for this country." This is one of the most controversial elections in American history, and instead of bringing us together, it’s driving us apart. Rather than openly hating on each other, we need to unite and remember what makes us human — the ability to listen, understand, and respect others, even if their opinions don’t match yours. Many of us refused to entertain the possibility of a Trump presidency and failed to see the reality. We hid in our bubble, unexposed to those who have other views, finding it easier to stereotype the opposing sides. Not every Trump supporter is a racist bigot. Not every Democrat is a homeless college student. 47.5 percent of the votes carried Trump to his win, and we need to understand why. The only way we’re ever going to understand and unite is by getting to know the faces behind the votes. As Clinton said, it’s not about one candidate, or even the election. It’s about the future of this country, and it’s going to take all 300 million of us to keep moving forward. We’ve chosen Trump as the president-elect of this country, and we owe him a chance to lead. Now it’s time for us to look to ourselves, at each other, and unite. We’re all different, but we’re all Americans. Together, we can keep making America great. This editorial reflects the views of the Scot Scoop editorial board. This editorial was written by Celine Yang.